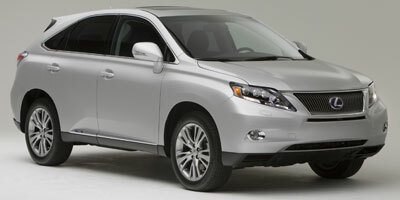 Though its dominance may not last forever, the Lexus RX hybrid has so far managed to rule over a very niche market. It is the sole member of the luxury hybrid SUV class – one that people are turning to more and more as green luxury becomes trés chic. Not convinced? There are currently 780,000 RXs zooming around the streets, and one fifth of the SUV purchases are for its hybrid. You do the math. Lexus anticipates that the ratio will remain the same heading into the 2010, but we can see it reaching even higher sales numbers thanks to a number of significant changes for the latest generation. Besides successful redesigns of both the interior and exterior, the 450h now produces 295 horsepower and includes new fuel saving technologies that help meet an estimated 28 mpg on the highway. Lexus also introduces new features like side mirror cameras and a multi-function infotainment controller to ensure the RX will be one of the most tech-savvy SUVs on the road. On top of all this is an SULEV EPA emissions rating. Long live the Lexus hybrids. Because the new double-wishbone suspension doesn't have a need for rear struts, trunk space is now five percent larger. Overall exterior design is now more streamlined than the previous generation. Tech features like an optional rear-view camera and standard hill-start assist integrate seamlessly into the cabin instead of being overly intrusive. Body roll in the front-wheel drive setup is particularly bad, and wind noise – something that shouldn't even be an issue in a Lexus – is so penetrating that conversations are drowned out. If your source of music comes from a USB drive, then you will have to dig underneath the center console storage area to plug it in. And try cleaning that cavernous bin if anything spills down there. Where the RX 350 – with only a gas engine powering the wheels – falls just short in terms of on demand power delivery, the additional electric motor in the RX 450h provides better immediate pull. Its 295 horsepower is more than enough to get the SUV up hills easily. By turning ECO mode on – an easy enough event that involves a few pushes of a button – the hybrid system remains in battery mode for longer to allow for more fuel savings. Of course, with only 50 horsepower from the electric motor, the SUV won’t be setting any land speed records under those constraints. Slightly noticeable, as in most hybrids, is both the surge when it switches over to the gas engine and the whirring regenerative brake noise. Body roll and torque steer on the front-wheel drive is more pronounced than the competitions’, but the all-wheel drive arrangement corners well and negates any unbalance found in the two-wheel drive setup. As a part of the redesign, the 450h gets a brand new gas engine to couple with the hybrid system and, as mentioned, has a total output of 295 horsepower. The new 3.5-liter V-6 is an Atkinson-cycle powerplant – a first for Lexus and one that is more efficient than the more common Otto-cycle internal combustion engines. The Nickel Metal Hydride battery-powered motor produces 50 horsepower and is smaller and lighter than the one available on previous RXs. The only available transmission is an all-new six-speed with manual shift mode. 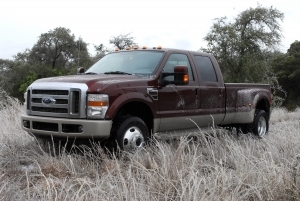 All-wheel drive trims have a towing maximum of 3,500 pounds. We love the automatically adjusted high beams available in the comfort package. No more flipping the brights on and off when driving on remote roads, the system does it for you when it senses an approaching car. The Mark Levinson audio system is a smart upgrade to 15 speakers (from nine) and surround sound with a 300-watt output. Hook it up via Bluetooth to play music from your phone or other Bluetooth enabled device. The Remote Touch system, a mouse-like device to control the infotainment system, is the latest attempt to make navigation through deep menus of settings and destination entries more simplified – and it manages the task quite well. It works like a computer mouse and the lack of a touchscreen allowed engineers to push the screen higher up on the dash and more in the driver’s eyeline. Within its segment, the RX 450h reigns supreme over fuel economy. Lexus estimates that the front-wheel drive 450h will return 28 mpg in the city and 27 on the highway. The addition of all-wheel drive barely affects the outcome, dropping to 26 mpg on the highway. The hybrid also receives an SULEV distinction from the EPA. Even the fuel-efficient and powerful new diesel SUVs can’t touch the frugal city mileage. A completely redesigned center stack has changed the feel of the cabin by focusing the controls toward the driver instead of utilizing a balanced design. The prominently featured audio console feels modern and well oriented, but just below it the simple system looks a little cramped, with the climate controls giving way to accommodate the design. Capitalizing on its already popular design, the RX retains the same general bodylines – though smoothed out and incorporating the “L-finesseâ€ styling of the entire Lexus line. Another plus: the slightly widened and lengthened RX (by 1.6 inches and 1.38 inches respectively) has lost its bubble-like looks in the process. The only distinction between the hybrid and gas-powered models is the emblazoned “hybridâ€ appellation on the rear doors. Until official pricing is released – sometime close to February – we’re estimating the RX 450h will start at an MSRP of $45,000, a few thousand more than the gas-powered RX 350. Though there isn’t much direct competition, other fuel saving choices are the BMW X5d at $51,200, Mercedes-Benz ML320 BlueTEC at $48,600 and the Volkswagen Touareg V6 TDI, which has yet to be priced. No other manufacturer produces a luxury hybrid of this caliber. Drive quality isn’t that of some of the German competition and certain miscalculations like the sound deadening can’t be overlooked. However, numbers don’t lie: the RX does too many things well to assume that this vehicle won’t be on most SUV hybrid shoppers’ lists.